SAO PAULO -- A major K-culture festival got under way in Sao Paulo on Saturday, drawing thousands of people interested in South Korea, local observers said. 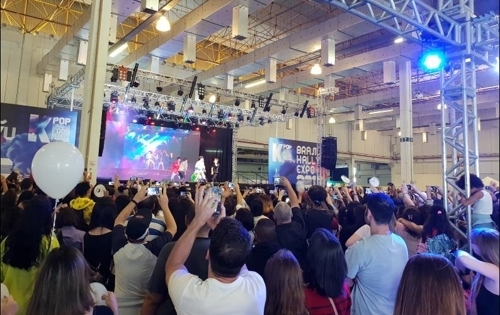 The Brazil Hallyu Expo 2018, taking place in the country's largest city, is hosted by the South Korea's government-funded culture center here. It's part of efforts to turn Brazil into an advance base for the spread of "hallyu," or the Korean Wave. More than 8,000 people have applied for participation, according to center officials. A South Korean boy band, IMPACT, electrified the audience at the opening ceremony followed by Nanta, B-boy and traditional Korean percussion performances. 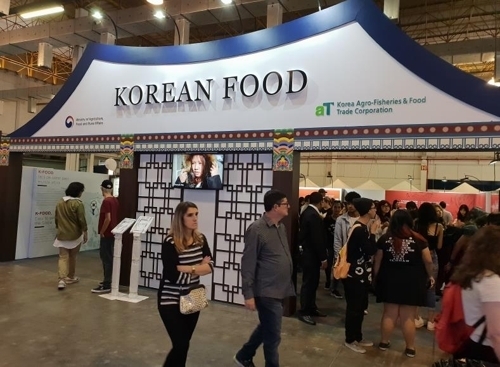 The Korea Agro-Fisheries & Food Trade Corp. has set up a K-food Pavilion at the venue, Expo Center Norte, in downtown Sao Paulo.